At the Camelot Lounge concert on oct 26, 2014, you will have the rare opportunity to purchase a T shirt, especially made for his Memorial Picnic Bash – and CD’s. 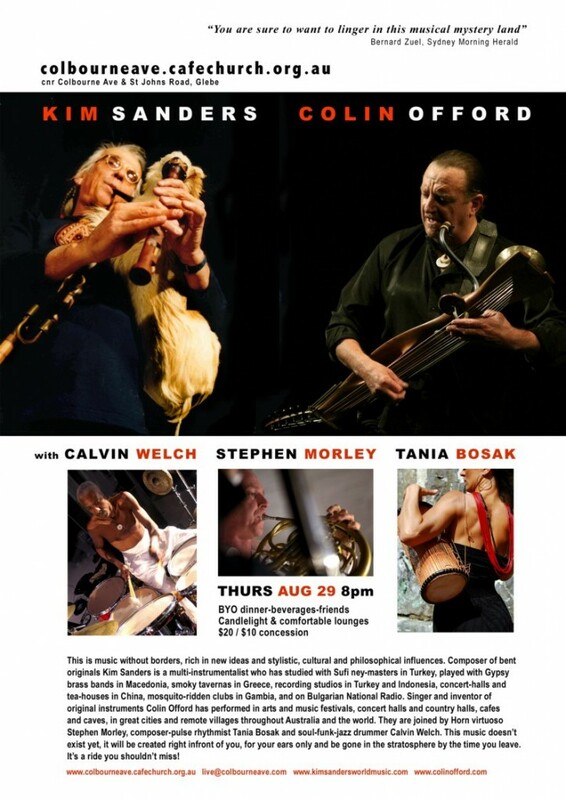 Friends of Kim Sanders Band (FoKS), are joining together on October 26, eleven months after his death, to play Kim’s compositions, and an old favorite or two. Kim’s compositions fuse elements from Balkan, West African, and Middle-Eastern folk musics, jazz, and Indian and Turkish Classical, creating a new music that has its own voice. 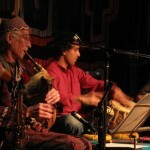 Then the musicians spin a hypnotic web of exotic sounds and collective improvisation. 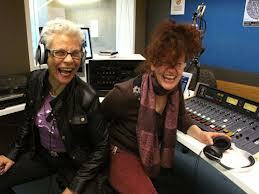 Sandy Evans and Llew Kiek will lead you into this night of bent grooves, trancin’ and wild honking. 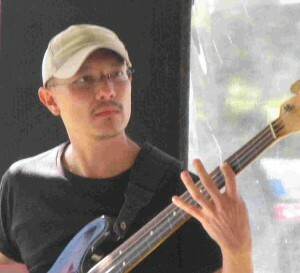 Percussionist Peter Kennard and bassist Steve Elphick will drive the compelling and sometimes convoluted rhythms. 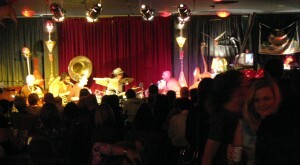 Special extras will include Boyd of the large vulgar saxophones, and Chris Fields on more percussion. Camelot Lounge is Fully licenced. Pizzas, mezzes, snacks and sorbets available. All ages welcome, but under 18’s must be accompanied by an adult. 2 minutes walk from Sydenham Station. Plenty street parking. 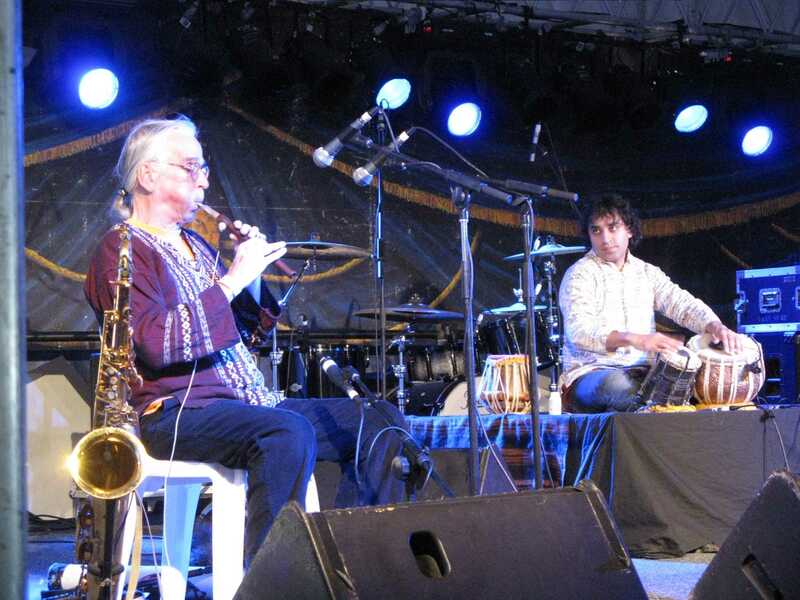 The band will draw from different parts of their extensive repertoire, including Turkish Sufi meditations, crazed ska-jazz, tango, bent Bulgarian and Romani (Gypsy)-style dance grooves and seriously bent originals. 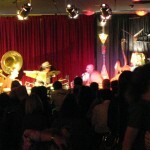 These are musicians who have studied the music at the source. Kim Sanders & Friends is unique. Friday Feb 1st sees the return of Kim Sanders & Friends and their unique style of Balkan Gypsy brass-band madness – and that ain’t all! There will also be Persian dance grooves, aetherial Sufi meditations, Sth African township jive and strange uncategorisable originals. 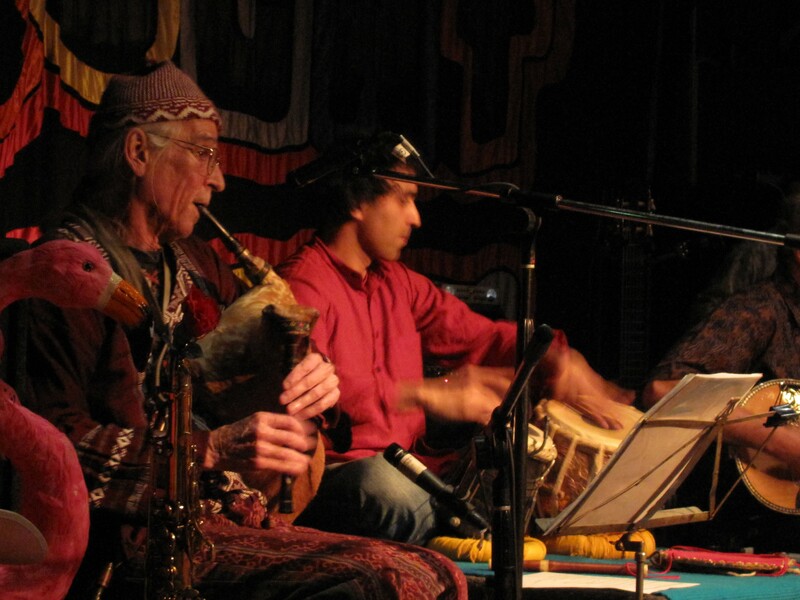 Special guest with the band will be Iranian Kurdish percussionist Mustafa Karami, a master of the dhaf (frame drum). Mustafa also sings and plays oud. “We’ve had some Persian tunes in the repertoire for a while – including Persian reggae” says Kim “but this gig will give us a chance to learn a few new grooves. 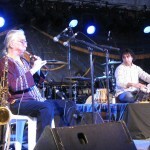 Mustafa and I played together in Davood Tabrizi’s Far Seas last year. 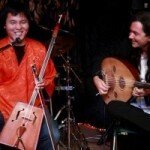 Llew Kiek has also played Persian music in Mara! and with Kim in Nakisa, Tansey’s Fancy and various ad hoc ensembles over the years, Peter Kennard is a great frame-drum player, so there should be a lot of things happening”. The band will be driven along by Sam’s Stylish Sousaphone. Last show was sold out – be early or book online!